Looking for a summer crafting project to do with your kids that is both fun and educational? Grab a cup of coffee and read about this easy project using the Silhouette Mint™. 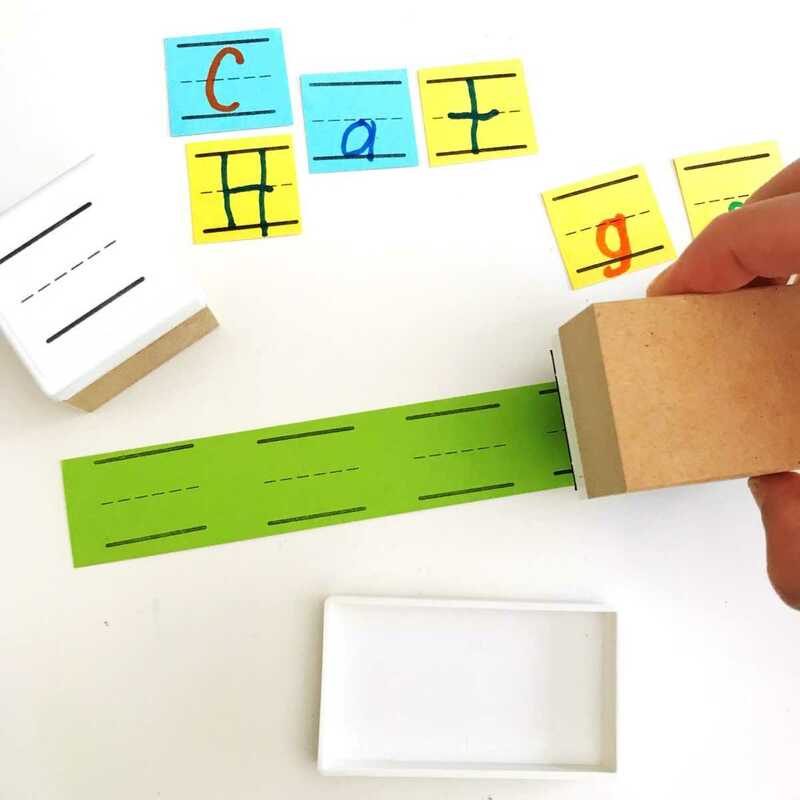 This project is great for children learning the alphabet, practicing their handwriting, or beginning to read. Sure, school may be out, but learning never stops, especially when it’s fun and creative! Go to the toolbar in the top right-hand corner, and click the icon that looks like a stamp sheet. This is your Stamp Settings Window. Then select the 30 x 30 stamp size. NOTE: This stamp size will be used for writing single letters. 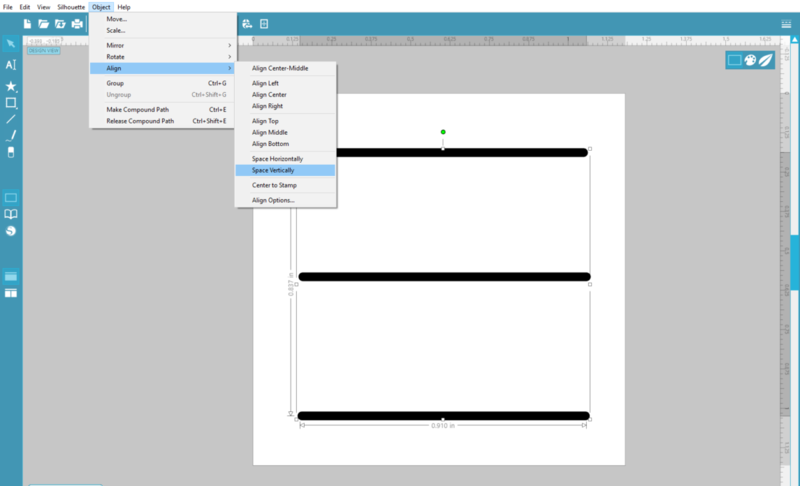 Select the Draw a Line tool (located on the toolbar on the left side. Draw a single line across that measures 0.9 inches. Duplicate that line twice so that you now have a total of three lines. Move the three lines into place. NOTE: Don’t worry about positioning it perfectly. We will use the Align function to help us with the positioning. Move one line so that it’s about 1/5 of the way down from the top edge. Move another line so that it’s about 1/5 of the way up from the bottom edge. Move the last line somewhere in the middle of the lines you just placed. Select all three lines. 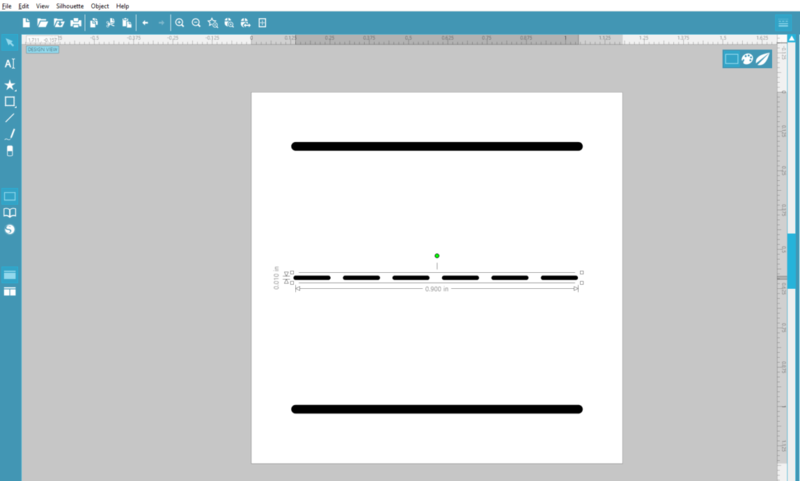 On the menu bar at the top of the page, go to Object, and then select Align and space Vertically. 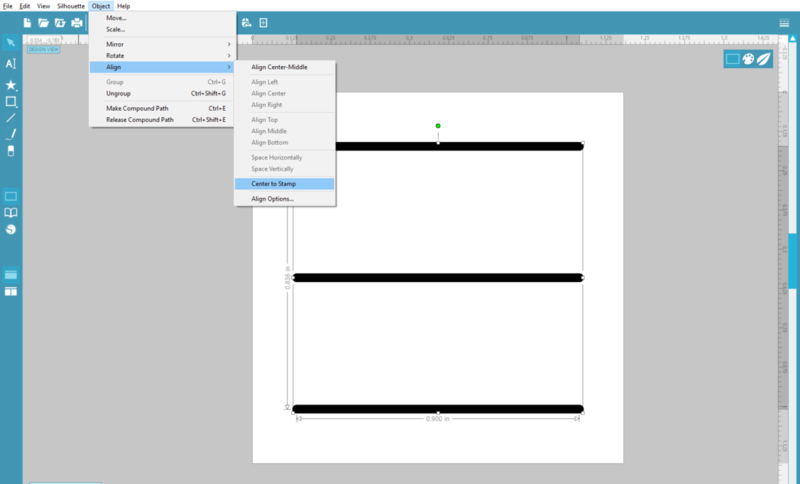 Change the middle line to a dashed line by going to the Line Style Window (located on the top right-hand toolbar) and selecting a dashed line. I chose the 5th one on the list. I also reduced the line thickness to 1.0 pt. With all three lines still selected, choose Object>Align>Align Center. Then, group all three lines by simply going back to the Object menu and select Group. Open the Stamp Settings Window and select 60 x 30 stamp size. NOTE: This stamp size will be used for writing short words. Draw a single line across that measures 2.125 inches. Repeat Steps 3–9 from Step One above. Send your stamps to the Silhouette Mint™ and be sure to insert the correct stamp sheet size for each stamp. Once printed, remove the stamp from its carrier and mount it to the corresponding stamp base. Squeeze the Mint Ink onto your stamp and let the ink sit and absorb into the stamp for about 10 minutes. On scratch paper, stamp out excess ink until your stamp design becomes clear. Don’t forget to stamp the provided label so that you can easily identify your custom stamps. Now that you know how to make your own stamps, I’ll bet you will be making a ton! Cut 1-inch strips of cardstock and stamp across them. Make sure to leave a little space between each stamped image. 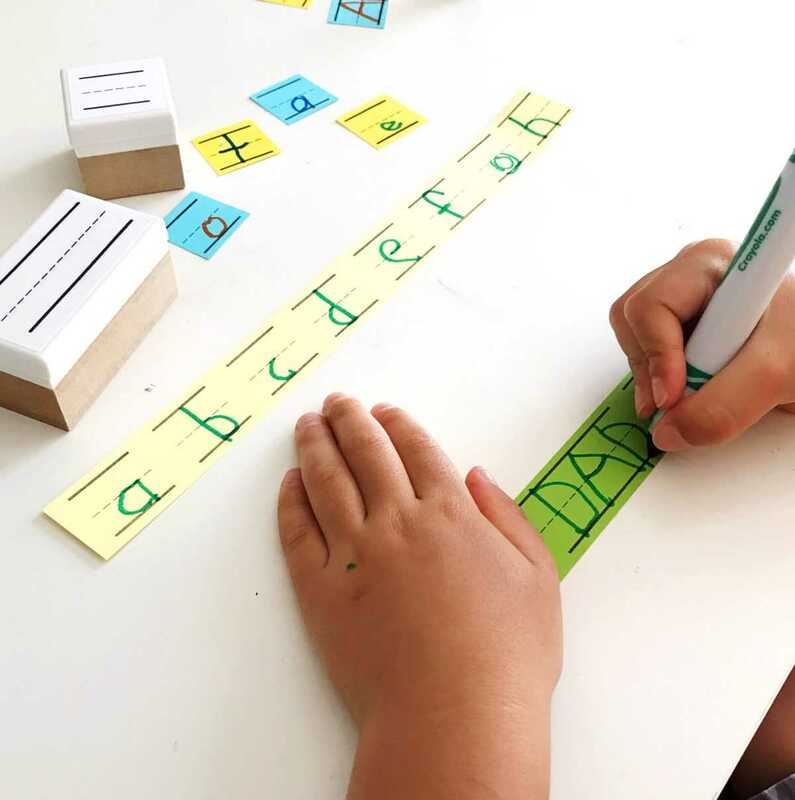 With each blank stamped image, children can practice writing letters and short words. Use scissors to cut out each stamped image. Mix and match single letters to make words or create a fun sentence or two by stringing short words together. Now it’s time to have fun learning! I love the versatility of the Silhouette machines. The best part about the Silhouette Mint™ is that it is so incredibly easy to use! With various stamp sizes to choose from, tons of designs from the Silhouette Design Store, and over 15 vibrant Mint Ink colors, the custom stamp-making possibilities are endless! This is such a wonderful craft! My niece would love to practice her letters – and practice stamping too!